Queen Elizabeth I, was born on the 7th of September 1533 and died on the 24th of March 1603. 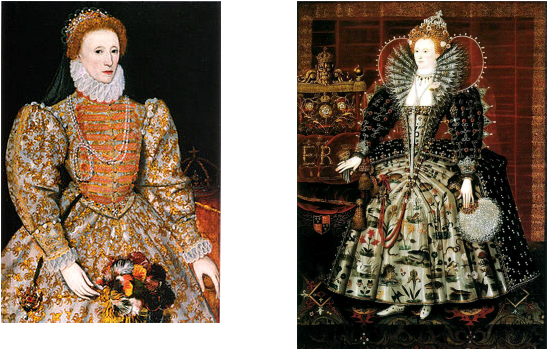 She is the main reason why its called the ELIZABETHan time because she ruled and was the first Elizabeth to be named the Queen. She ruled from 1558 until her death. Her father was Henry III. One of the first major things she did as her time ruling England was that she made an English Protestant Church which she was the governor of. Queen Elizabeth I never got married even though many people asked her hand in marriage. They think that a person called Thomas Seymour put her off sexual relationships. Even though you might find this weird and so do I, she actually became famous for her virginity. I found Queen Elizabeth I very interesting and she as well as Shakespeare will also never be forgotten and will be remember as one of the most well known Queens of England ever to rule. Many people may not know about her but they definitely know of her and generations to come will also learn and study Queen Elizabeth I.